Confident, smart, and beautiful are just a few words to describe Purity. This recent class 8 graduate is determined to become the best version of herself, and she knows that education is the only way to achieve this goal. Purity is the top girl at Dream Children’s Home. She earned an outstanding 397 points on her KCPE, the secondary school entrance exam all class 8 students are required to take, and will be attending a national secondary school in 2019. 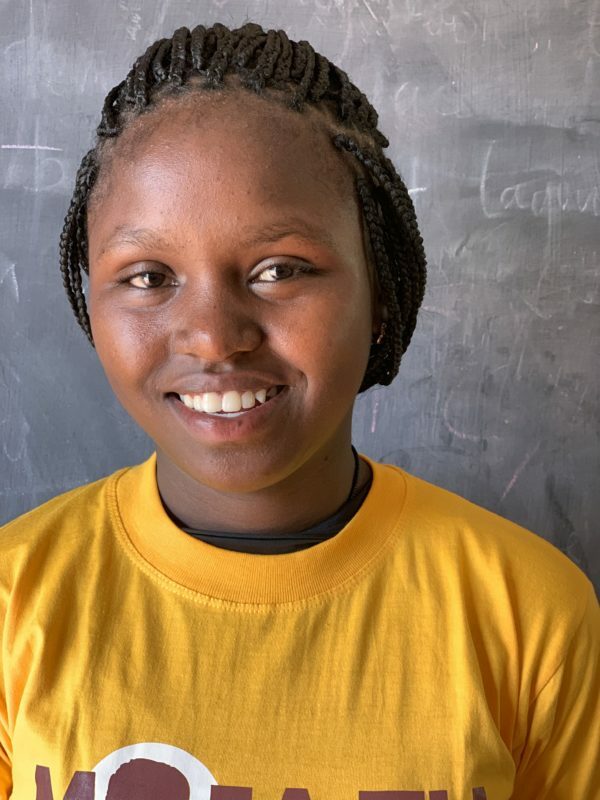 Purity loves mathematics the most out of all of her subjects, and can often be found tutoring other students in their math studies or participating in math competitions in the school. Purity is also a talented singer and dancer, and her love of sports (especially soccer) led her school’s administration to name her as the prefect of sport and captain of the soccer team. Purity attacks every aspect of her life with the same level of enthusiasm, and her vibrant personality is apparent to anyone who meets her. All this ambition and determination comes from a girl with a very humble background. After her parents passed away when she was very young, Purity and her siblings came to live at Dream Children’s Home. Purity never let her status as an orphan get to her, however; in fact, she was determined from a young age to overcome all the difficulties she would face in life. So far, she has succeeded in everything she has tried. Help Purity continue this streak of success into high school and beyond by sponsoring her education today! Supporting Purity's secondary education is $85/month. Thank you for sponsoring Just One!